Gallop off on new adventures! Fancy staying in a farm with chestnut horse lovers? Located between Mons and Binche, in a small rural village, “La Barrière Alezane” guest rooms welcome you in a beautiful farm with chestnut colours. 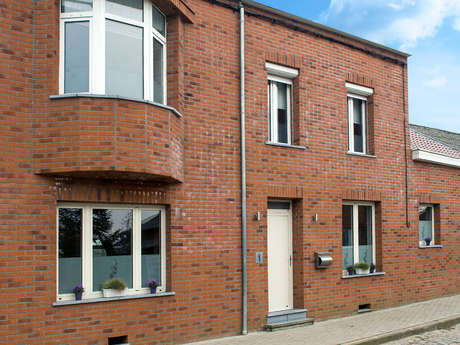 The guest rooms are located halfway between Binche and Mons. They’re ideally located to explore the region and do activities with the whole family. Explore and wander through the surrounding towns and villages: Estinnes with its wind farm, Strépy-Thieu with its boat lifts, Binche with its carnival, Saint-Symphorien with its military cemetery, and Spiennes with its prehistoric mines etc. Play sports at the Face Nord climbing centre in Mons, have fun at Grand-Large Swimming Pool, go shopping at Les Grands Près or visit Pairi Daiza wildlife park in Brugelette or PASS in Frameries. Get off to a galloping start exploring the region! Saint Georges, a unique apartment-hotel! We sleep well at Les Chambourlettes!